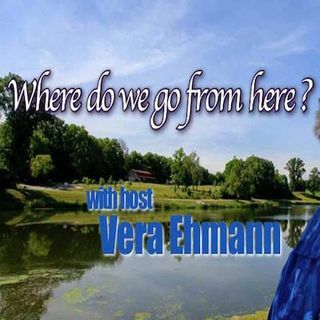 Vera Ehmann is dedicated to the power of gratitude and joy. She brings a rich background filled with helping people remove obstacles that block their path to growth and achievement. Her experience includes being a teacher, tutor, résumé writer, career counselor, public speaker, practitioner and mother. The resolve, that Americans can overcome any problem when they work together, drives her efforts. Where Do We Go From Here?” addresses the ... See More ramifications of the skyrocketing use of prescription medication in the United States today with compassion and respect. This show provides historical background and general information needed to compare and contrast different medical modalities. Experts in Complementary, Alternative and Western Medicine explain the focus, key principles and treatments within their field and offer possible answers to current issues. Historical snapshots uncover how past generations addressed medical challenges, those solutions and collateral damage.